Who We Are - MaxVO2 Inc. Led by Cory Freedman, MAX VO2 is a group of leading experts and strategists who specialize in the management of endurance events. We are: logistic gurus, leaders in delivering seamless race experiences and all round amazing relationship-builders. 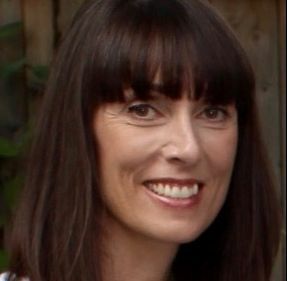 Melanie has been the Toronto Women’s Run Series’ Volunteer Manager since the first race, the Women’s Half/5K, in May of 2009, and has been the Volunteer Manager for the Sporting Life 10K since 2014. She has also been the Volunteer Manager for the Rebecca Run for SMA since 2010. Melanie has recruited and built a team of 1200 volunteers for the Sporting Life 10K, many of whom are now returning to the same position every year. Her goal has always been to ensure that every volunteer position is filled at every race, and to ensure that the volunteer experience is a rewarding one for those who give up their time so generously (and often painfully early in the morning!). 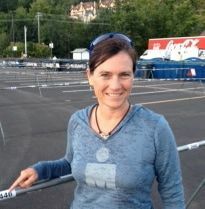 Melanie is an avid runner and has run several marathons, ultramarathons and trail races. In addition, she has been the marathon coach at the Yonge St Running Room for the past seven years. Kathryn came to the world of events through her love of organization, planning and sports. Beginning in the sports world and then branching into charitable organizations and the corporate world has given her an overwhelming amount of event experience encompassing logistics, marketing, sponsorship, planning and execution. Her first event experience was as the Ontario Technical Judging Chair for trampoline, which determined her career path. This journey took her to university sports, into the not-for-profit industry and then conferences, galas and tradeshows in the publishing world. The full circle has brought her back into the sports field now working with MAX VO2 Management Inc. Kathryn is an avid runner and triathlete and has completed nine marathons and six Ironman triathlons. Lisa is an athletics enthusiast who has always enjoyed a healthful, active lifestyle. From a young age the principles of good nutrition and physical activity have always been paramount in her daily life. The sports she first fell in love with are the ones she still loves today. On land running cross country and track and field events and on the court playing volleyball. Her most recent adventures find her in the gym donning a pair of boxing gloves, on the water stand up paddle boarding and on the bench coaching youth volleyball. Her first introduction to organized road races was at the Toronto Women’s Run Series 10k/5k event in August of 2009. It was like nothing she had ever experienced and empowered her to pursue additional running goals. Since then she has participated in several events across the GTA at every distance from 5k to the half marathon. Lisa’s love of running, sport and helping people succeed brought her to volunteer with the Toronto Women's Run Series in 2013 and she has since joined our team as Kit Pick-up Manager for the Toronto Women’s Run Series, Sporting Life 10k and Rebecca Run for SMA. She is methodical and organized and ensures every runner receives what they need prior to and on race day. Whether it’s simple words of encouragement or time-tested answers to alleviate pre-race jitters, she can always be found behind the bins of bibs with a kind, knowing smile. Jason combines a unique ability to see interdependent aspects of an event and how they need to come together. This ability, combined with his firm commitment to lead from the front and by example, truly sets him apart in the world of Event Management. After racing his first Olympic Distance Triathlon at age 16 and his first Half Ironman at age 19, Jason competed at a top age-group racer into his mid-twenties and has three Ironman finishes to his credit. Jason then turned off-road events such as Adventure Racing, 24hr Solo Mountain Biking and long-distance Cross Country Skiing. It was during this time that Jason joined John Salt at MultiSport Canada and jumped head-first into the world of event management. Now, nearly 15 years later, John and Jason have built-up MultiSport Canada into the largest Triathlon Series in the country with a reputation for exceptional logistics while always putting their customer’s needs first. During that time Jason has also had the pleasure of working-on some other amazing events acting as: Race Director for the Joe’s Team Triathlon; Event Director for Tough Mudder (Toronto 2013); Course Director for Centurion Cycling & EGames (2013 & 2014); Course Director for the Sporting Life 10K; Course Director for the RBC Race for the Kids; and, most recently, Event Director for the Highway of Heroes Ride supporting Wounded Warriors Canada. Along the way Jason has come to work with some amazing colleagues, staff, suppliers and volunteers. Jason and his wife Sarah call the forests of Oro-Medonte home with their two children Erik and Anna Liisa. Between events you’ll find Jason blasting down a mountain bike trail in the summer or powering his way down a cross country ski trail in the winter. An active racer in many off-road sports, Jason still gets fired-up for the start line of any race; whether as a competitor or as an organizer.